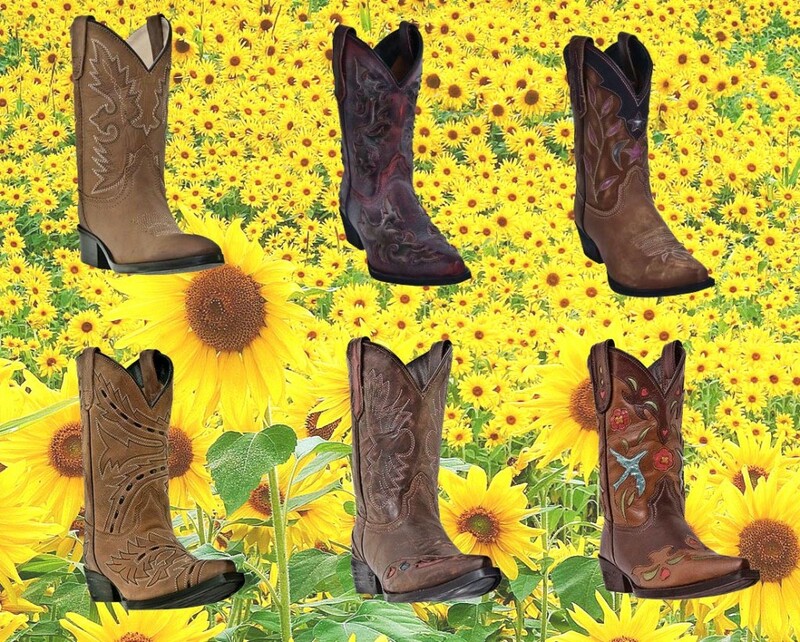 You know your favorite pair of cowboy boots? Yeah, you do. They’re the ones caked forever in dirt, with worn and fading leather all over. You look down at scuffed toes to the point where the leather is wearing so thin that every time you slip them on, may be your last. I don’t know how to say this, but…it may be time to retire them. Put them out to greener pastures, if you catch my drift. I’m sorry. I’m so sorry. But there’s a light at the end of the tunnel and that is the ray of hope coming from Dan Post’s newest line of boots! Dan Post boots are made with some of the finest leathers available to mankind…so far. They’re so comfortable, it’ll feel like you’ve already worn them in the first time you slip them on. In short, Dan Post boots are magic*. *There is no proof that Dan Post boots are actually magic. But there is a rumor (that I started) that they’re made by unicorns and wizards. So there’s that. The Dan Post Women’s collection is ready to hit the road! These boots all feature a cushioned insole to make this year’s road trip the best one yet. Take your pick from a wide variety of colors and styles to fit your personality–butterflies for the hippy chick in you, hearts and flowers for those looking for a little feminine flair, and stars and moons for when you need to get a little astrological. Nothing here strikes your fancy? 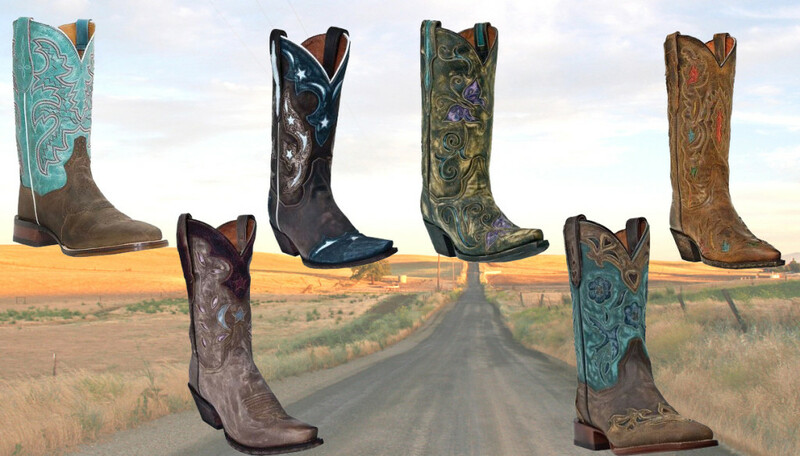 Check out our full line of Dan Post Women’s boots here! Top row, from left: 11-in San Michelle Boot in Sand, 11-in Copper Queen Boot in Chocolate/Blue Galaxy, 12-in Cambria Boot in Tan Vintage Distressed w/Butterfly Inlay, 13-in Rosie Boot in Tan. 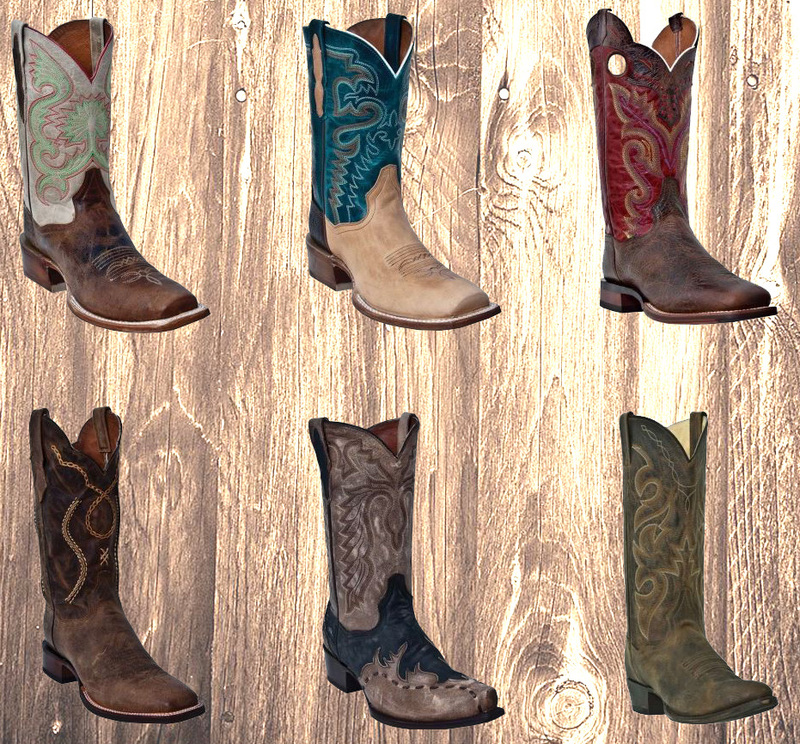 Bottom row, from left: 11-in Star and Moon Boot in Tan and Rustic Saddle Brand, 11-in Blue Bird CC Boot in Copper. Whether you’re hammering nails or driving cattle, you need a boot that’s as tough as you are. The Dan Post Men’s collection is tough enough to handle any job–and look good doing it. Pastel colors for manly men, blues and reds for those a little less adventurous, and stylish brown leather uppers for a more classic look. These boots not your thang? Chillax. You can find more Dan Post Men’s styles here. Top row, from left: 11-in Free Hand Boot in Tan and Natural Leather, 11-in Chute Fighter Boot in Natural and Turquoise Leather, 13-in Getaway Boot in Chestnut. Bottom row, from left: 13-in Kirby Boot in Tan, 13-in Lucky Break Boot in Chocolate and Tan Rustic Saddle Brand, Renegade Boot in Bay Apache. Why tiptoe through the tulips when you can skip through the sunflowers! The Dan Post Kids collection features that classic cowboy style, with a bit of flair that every little cowpoke will love! Girls will love a pair of boots with birds and flowers, or maybe stars and moons, while boys can romp in the stylish tan leather boots with adorable detailed stitching. There’s plenty more styles for boys and girls to find their new favorite pair of boots! Top row, from left: Shane Boot in Tan Distressed, 8-in Zephyr Boot in Red Distressed, 8-in Star and Moon Boot in Tan Distressed. Bottom row, from left: Sidewinder Boot in Tan, Tribute Boot, 11-in Blue Bird Boot in Chocolate.